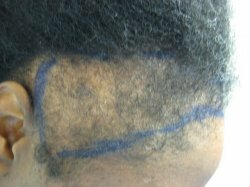 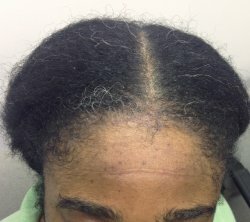 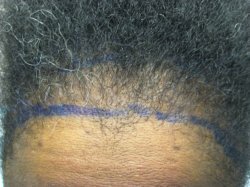 African American woman patient took 1 scoop daily of Help Hair Shake and followed the Low Anabolic Profile. 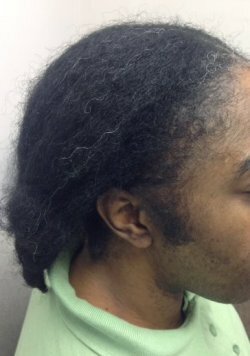 Low Anabolic Profile means that they avoid all anabolics supplements after the procedure until their hair regrows. 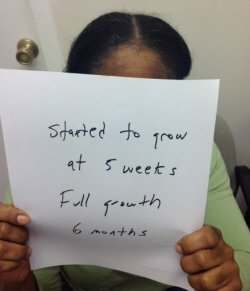 Started to grow at 5 weeks, full growth at 6 months.